When constructing switch and control gear, experience, expert knowledge, and flexibility are needed. This is precisely where SE-Elektro’s work begins. 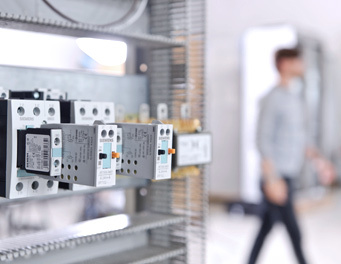 Our company based in Eggolsheim, Upper Franconia, has specialised particularly in constructing control cabinets with electronical components which fulfil the specific requirements in the industrial field. Since 1997 SE-Elektro has been producing equipment for energy supply on behalf of its customers including peripheral process control technology. Early in 2010 SE-Elektro obtained the assignment to install excitation equipment for the power plant generator in Mainz-Wiesbaden by the Siemens speciality department in Erlangen. Producing a combined protection and synchronisation cabinet for the generator of a power station in Merkenich presented SE-Elektrik with a considerable challenge.